Islamic State has released a disturbing video threatening the creator of Facebook Mark Zuckerberg and the CEO of Twitter Jack Dorsey. The footage show a series of chilling messages and a photograph of the pair which is subsequently riddled with fake bullet holes. The Islamist terrorist group made a 25-minute propaganda video entitled, “Flames of The Supporters,” in which they said they will retaliate if they are forced off the social network sites. Facebook and Twitter have been launching a campaign to stop Islamic State (IS, formerly ISIS/ISIL) and its supporters from using the platforms to spread their propaganda and attract new followers. The jihadists say they are hitting back and have managed to hack and take control of 10,000 Facebook accounts, 150 Facebook groups and 5,000 Twitter profiles. The terrorist group says it will retaliate if any attempts are made to stop them using the sites. IS also mocked Twitter and Facebook in its attempts to block accounts they used, adding that they would make 10 new accounts for each one blocked. The video was first published by the Vocativ website, whose analysts found the video on the messaging site Telegram, which is often used by IS jihadists. 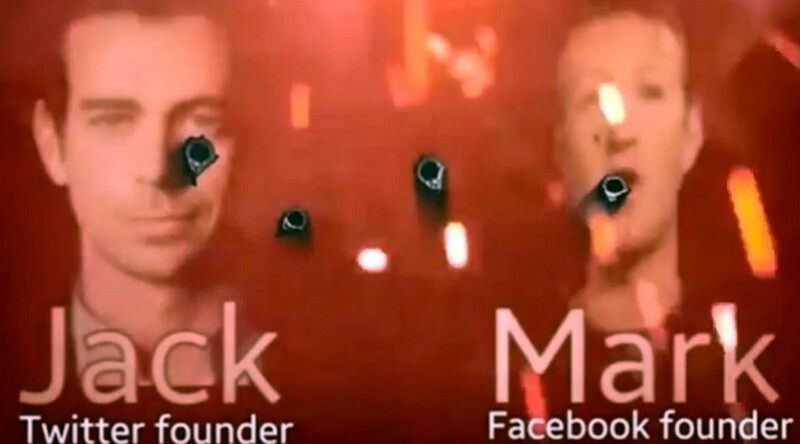 There was also a photograph of Zuckerberg and Dorsey, whose faces were covered in mock bullet holes. A spokesperson for Twitter told the Guardian that the company would not be releasing a response because they receive such threats on a regular basis. “It just happens all the time,” the spokesperson said. "All the time? With Dorsey’s face?" “All the time,” the spokesperson confirmed. "Isn’t that a little scary?" 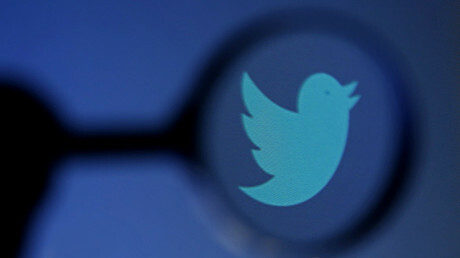 Twitter announced in February that it had suspended more than 125,000 accounts for threatening or promoting terrorists acts, mainly related to IS militants, in the last eight months. In March, IS apparently declared war on Twitter and issued a threat against Dorsey and its employees after the social platform started blocking jihadist accounts.